← Thank You for 25 Years of Patronage! Creative Art & Frame is Closing. Trends indicate that summer homes and cottages are fast becoming one of the most popular real estate investments. As the babyboomer generation ages, they are looking at cottages as future retirement homes or sound investments. They also may have inherited the family cottage from aging or deceased parents. Because the cottage is typically used only part of the year, it provides a unique challenge for those of us who appreciate and enjoy art. Works on paper are most susceptible to damage from high humidity, dampness, sunlight and fluctuations in temperature, all conditions, which are typical of cottages. If you use your cottage from May to October, and then close it for the winter, you should probably choose artwork of lower value. Dampness and high humidity cause “foxing”, reddish brown patches on the paper. Mould can also develop behind the glass. Mould not only destroys the artwork, but also leaves a musty smell. If you select artwork that can be replaced every five years or so then foxing and mould will not be a problem. On wooden frames, replace the Kraft paper attached to the back of the frame, if it is torn. The purpose of this paper is to seal the back. On metal frames, tape can be used to seal the backing to the frame. Many cottages have an abundance of windows. Direct sunlight will cause prints to fade. If you cannot move the print to a safer place then you have the option of using UV glass. This conservation glass prevents over 90% of the UV rays from destroying your artwork. There are many options for selecting art that is attractive and lower cost. Photographs, kid’s artwork, fine art reproductions laminated on wood or giclée on canvas are all good solutions for your cottage. Photographs: Although photographs can fade and be damaged, they are replaceable. A photo collage where you insert a few photos every year will remind your family and visitors of the fun that you had in the past. Kid’s art: Budding artists always enjoy having their work displayed in prominent areas. Pick up 3 or 4 frames with glass, mats, and flexi-points so that the artwork can be replaced every year, or every week! Lamination on Wood: This technique is a low cost method of displaying art. 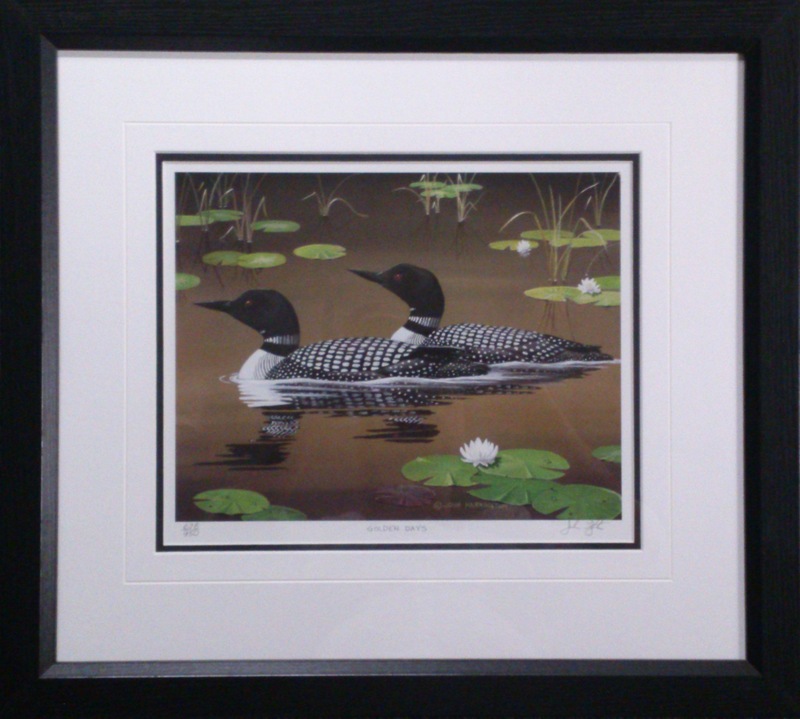 The reproduction is mounted onto wood and a UV protective film is added to the top to prevent fading. The edges are beveled and there are different hanging techniques. This is commonly called “plaquing”. Giclée on Canvas: for something that has a more formal look, a canvas is a good option. There are a multitude of images that can be printed directly onto canvas. Most of the inks are high quality with UV prohibitors to prevent fading; the canvas is stretched onto stretcher bars and it is ready to hang. Frame optional. 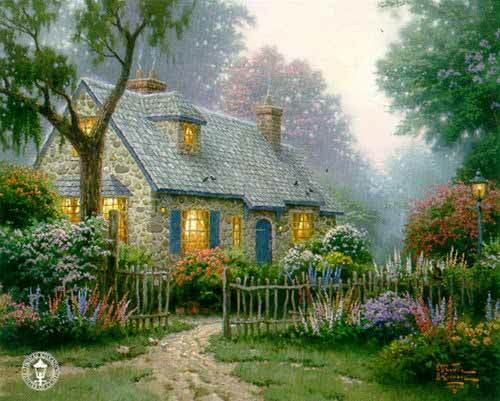 Cottages are a wonderful place for making memories, but a difficult environment for fine art. 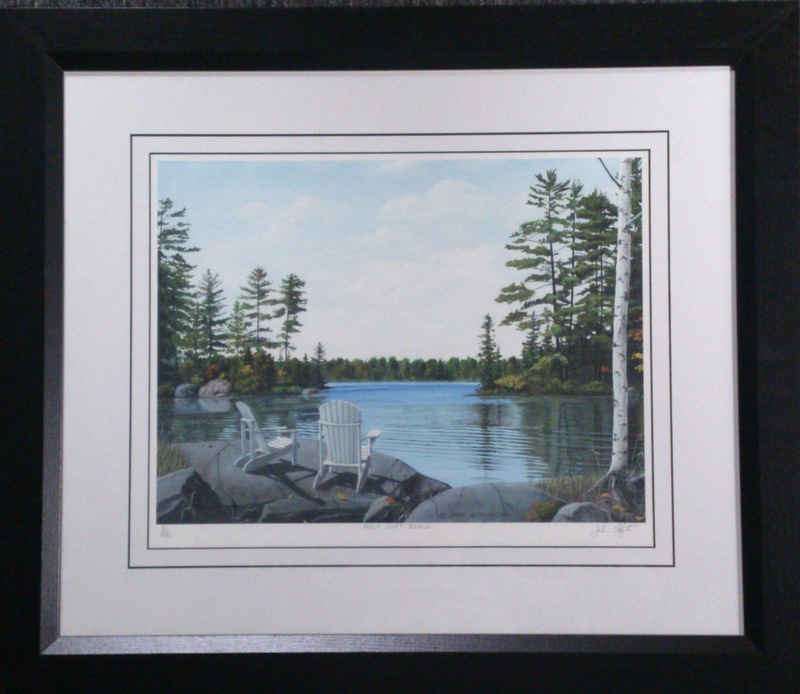 Leave your high quality art at home and select other art solutions for decorating your cottage. Most importantly, have a wonderful summer.